Polycarbonate mirrors are extremely strong and robust, offering impact strength of around 30 times that of acrylic mirror and over 250 times greater than that of glass. Also known as safety mirror, it is used in areas such as schools, prisons, public areas,care homes and many more. Impact strength: Meets the highest impact performance required by BSEN356. Cutting and Sawing: Easy to saw and cut on standard workshop equipment. 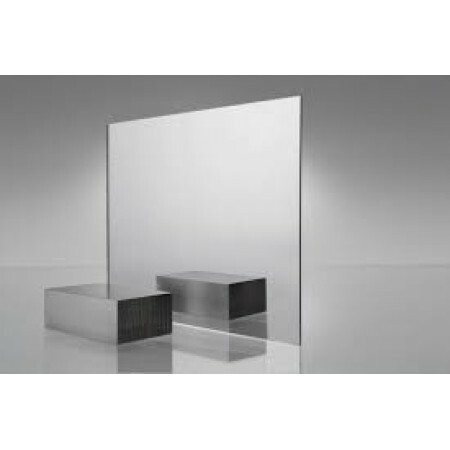 Q; Can polycarbonate mirrors have safety edges applied? A; Yes, we can machine a curved edge that will remove any sharp edges. Q; Can the mirror edges be polished? A; Unfortunately polycarbonate doesn't polish up completely, but we can shine up the edges. Q; Can polycarbonate mirrors be cut easily? A; Yes, using cutting equipment with a fine edge blade will do, take care as not to damage the mirror finish. Q; Can the mirror finish be easily picked off? A; The mirror finish is applied to the rear face, so if it's fixed to the wall then it can't be interfered with. Q; How do you drill polycarbonate mirror. A; Using an old HSS drill bit will suffice, avoid new drill bits as they tend to catch the material.